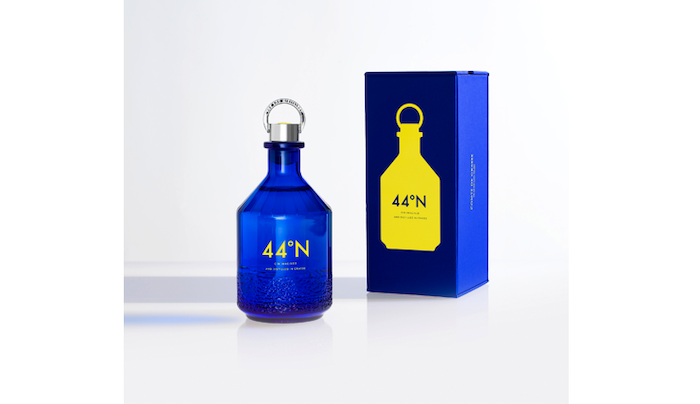 This exciting new gin from the far north-western coast of Scotland presents a bold expression of the sea and a sense of refined gin craftsmanship in each drop. We are hooked! In case you didn’t know the geography, “the Isle of Harris lies off the far north-western coast of Scotland, separated from a distant mainland by the rough seas of the Minch”. A place exposed to the harsh Atlantic winds and waves, yet with a rich and ancient history. 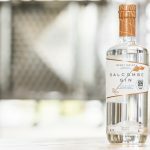 By utilising locally, hand-harvested sugar kelp, this distillery has encapsulated the rugged and ever changing scenery of the location perfectly. There is also a pleasant dryness lurking here too. The kelp, along with 8 further botanicals (including Macedonian Juniper), gives unflinchingly maritime flavours with superb balance. Smooth, complex and charming. 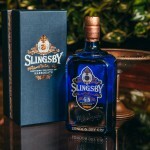 Fortunately, the gorgeous gin is given an equally beautiful bottle, with a twisted hand-crafted bottle, with a blue colouring to the base. The contouring and twisting bottle echoing the movement of the sea wonderfully. Did you know? 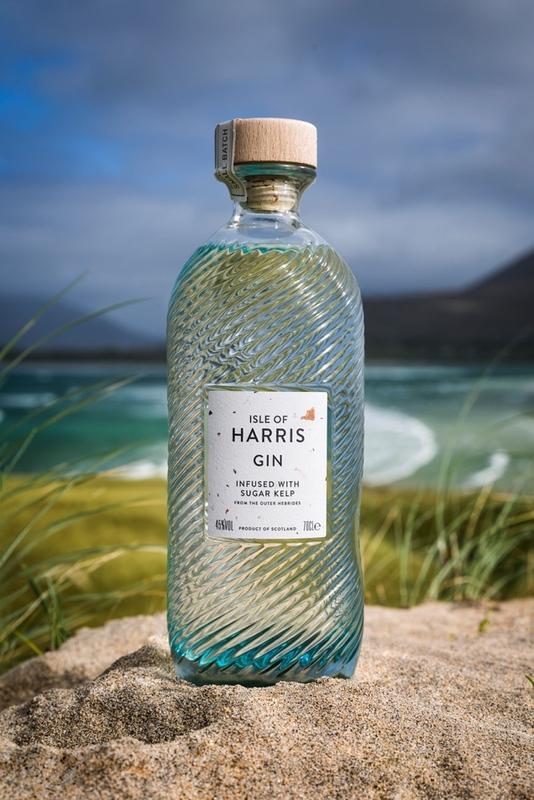 Every drop of Isle of Harris Gin is “distilled in Tarbert in their small copper gin still, known affectionately as ‘The Dottach’ after a similarly fiery and feisty local woman.” It is this attention to detail and the story off the location that gives this gin another dimension and character. 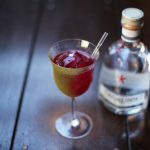 One intriguing partner to this exciting new gin is a Sugar Kelp Aromatic Water that comes in a separate bottle. 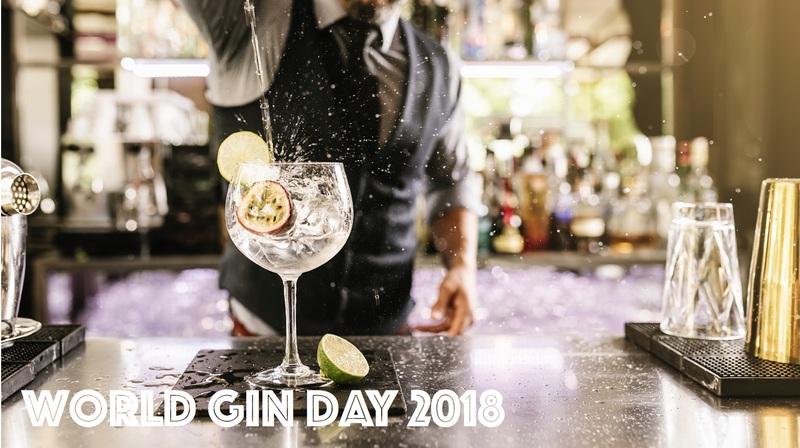 The addition of the Aromatic Water lifts the fresh fragrance of the seas into the air and into the nostrils, thereby elevating the sensual experience and enhancing the individual 8 botanicals within the gin. Simply stunning. 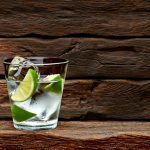 In fact, the distillers suggest you have their gin ‘on the rocks’, adding a few drops of this Sugar Kelp Aromatic Water and a piece of pink or red grapefruit or simply a wedge of fresh lime. 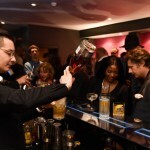 Or, for those who prefer it long, add a little tonic water. 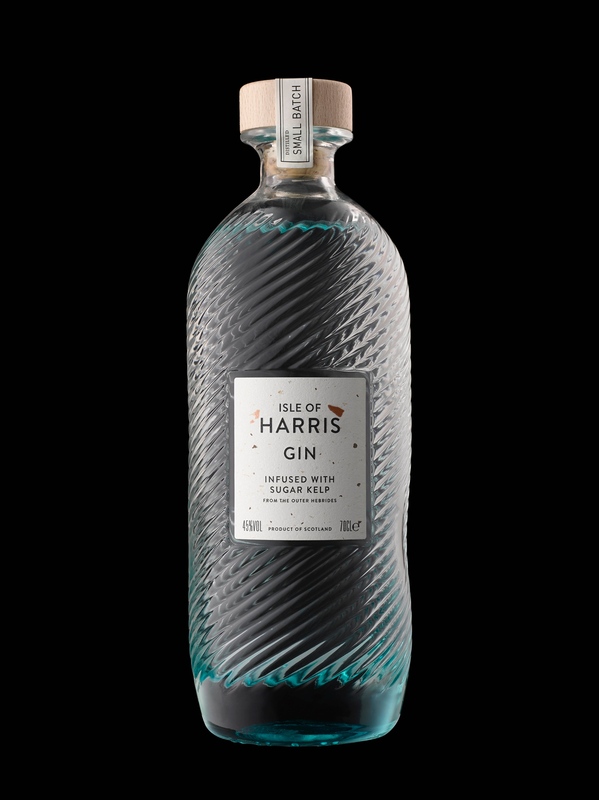 A 70cl bottle of Isle of Harris Gin costs £37.00. 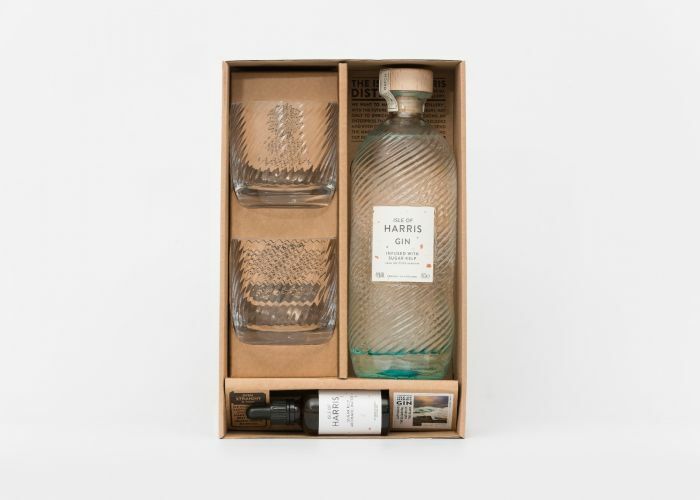 Or why not try the The Harris Serve+, which includes a 70cl bottle of Harris Gin, 2 tumblers, a 50ml bottle of Sugar Kelp Aromatic Water and costs £82.